The Bobcat E35 compact (mini) excavator is a popular and user-friendly choice for contractors and homeowners. 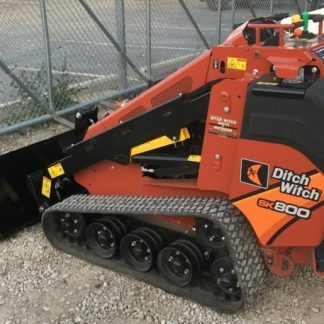 This mini excavator is designed to operate with zero tail swing, providing unrestricted rotation, greater flexibility and reduced potential for damage to the machine and surrounding property. The E35 mini excavator will dig at any depth from 1″ to 10’4″. 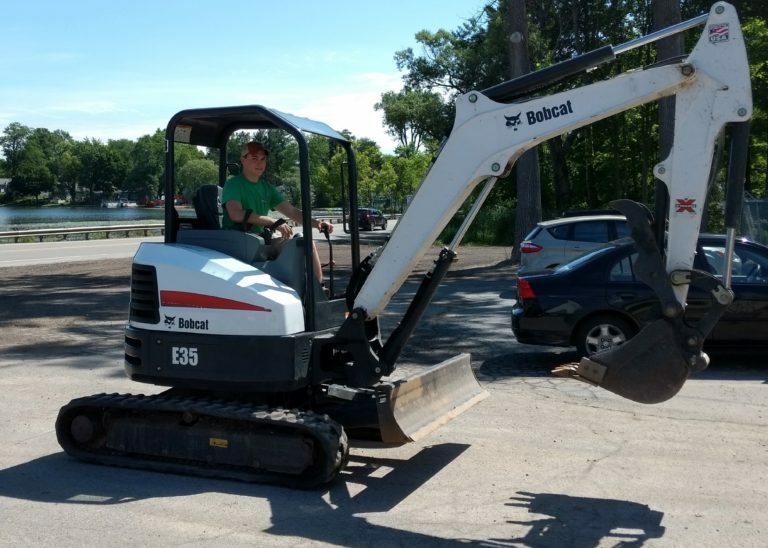 Ward’s Rental offers a 12″ and/or 24″ bucket to use with the E35 at no extra charge. 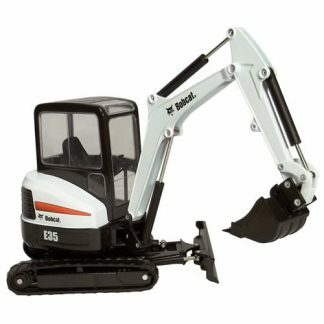 All mini excavators are equipped with hydraulic thumb for ease in moving bulky objects. 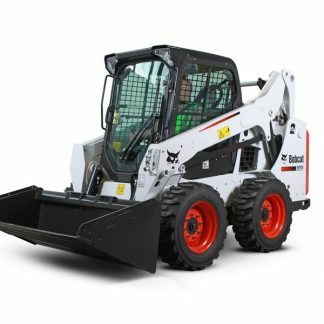 The machine also has a powerful and reliable Kubota diesel engine. 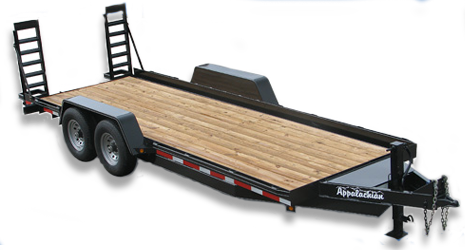 The E35 weighs 8100 lbs. 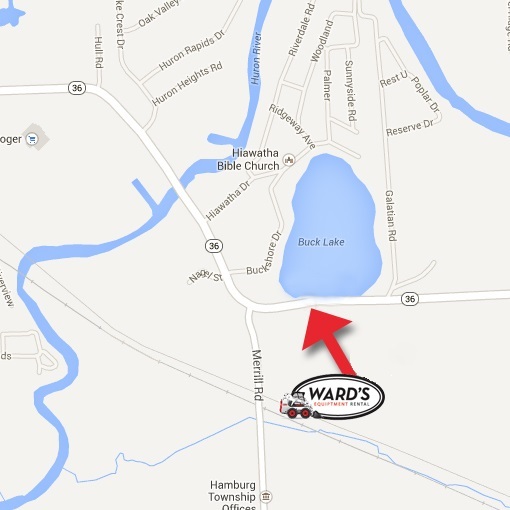 Ward’s offers local delivery at very reasonable rates.